The Silicon Valley startup, Better Place, has just raised $200 million in Series C financing from a range of investors, including GE Capital and UBS. The recent influx in funding raises the company’s valuation to $2.25 billion, and has given it enough capital to embark on its ambitious empire of electric car charging and battery swapping stations. This brings the total amount of VC funding for Better Place to $750 million. Better Place sees electric vehicles (EVs) as the future of transportation technology. But one of the biggest hurdles with electric vehicle technology is the length of time it takes to charge a battery. Although many EV owners can get a full charge by charging their batteries overnight, what do they do if they need more juice during the day? 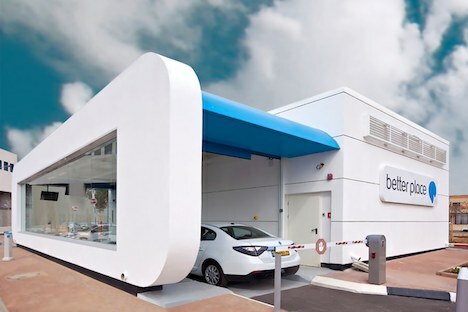 Better Place has predicated most of its business model on providing EV owners with a means of attaining a full charge in a fraction of the time. In particular, it proposes a network of battery swapping stations, where drivers can swap out their depleted batteries with fully-charged new ones. Drivers would thus rent batteries from Better Place, and only pay for the miles they drive. Although the removal of EV batteries may have been a lengthy process in the past, Better Place is working with Nissan/Renault on the production of electric cars with swappable batteries – batteries which can be swapped out in only a few minutes. Better Place has already partnered with local governments in Denmark and Israel, to build the infrastructure in support of its brand of EVs. The company also has plans to branch out to Toronto, Hawaii and San Francisco. Although each of its station’s would have battery swapping capabilities, they would also be equipped to fast charge EV’s of all makes and models. But there could be one problem with Better Place’s battery swapping plans: battery charging technology is improving quickly and could eventually eclipse battery swapping as a more efficient means to get a full charge. For instance, Tesla has just announced the first of its fast-charging station between Los Angeles and San Francisco, which could give EV batteries 150 miles worth of charge in 30 minutes. Although Tesla’s future EVs will have the capacity for battery swapping, Tesla is doubtful battery swapping will become popular as charging technology improves. Do you think battery swapping will take-off as a way to give EVs a full charge? Or will battery charging technology improve enough to make swapping unnecessary?